We don’t have to fumble. While the questions are hard, answers can be had. Just ask Glenn Stanton. He says, “We disagree on certain convictions, but we still admire and esteem one another . . . 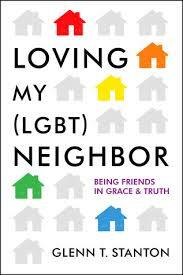 Since when was it decided that people who see the world in polar opposite ways can’t be friends?” He shares his personal journey building bridges with the LGBT community and offers candid insights on hard questions.